Ladies who love their own dark hair gather here. 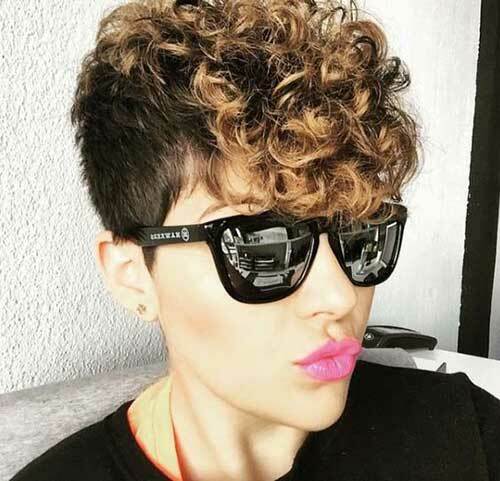 we have brought together wonderful brown short hairstyles for you. Brown hair is quite successful in concealing skin imperfections and your skin looks more healthy. 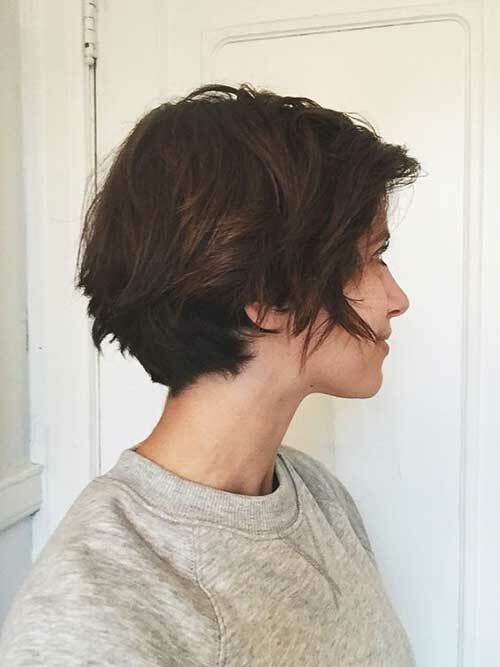 Short bob cut for fine hair, with natural light brown hair. 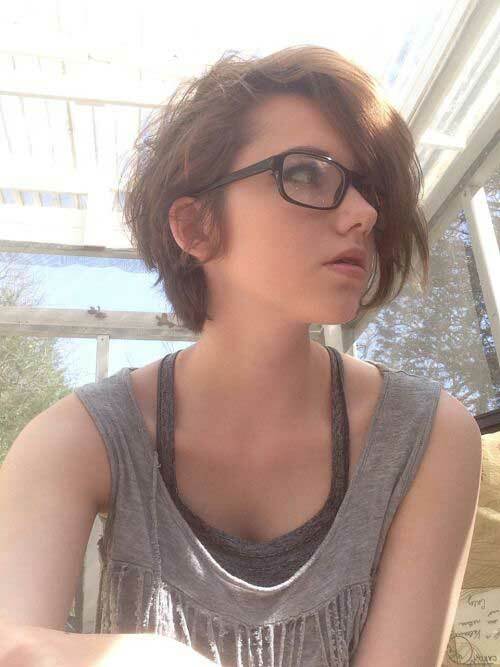 This is looks a little messy but totally a photogenic haircut. 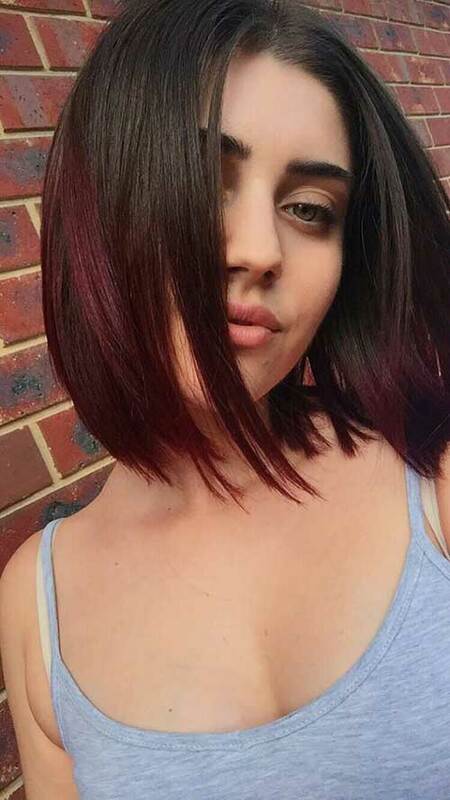 With this bob hair cut that all face shapes can choose from, you can create a great style to yourself. 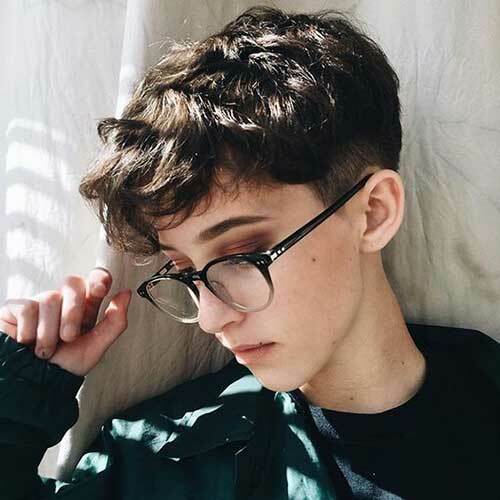 Chocolate brown hair color is quite an attractive option. 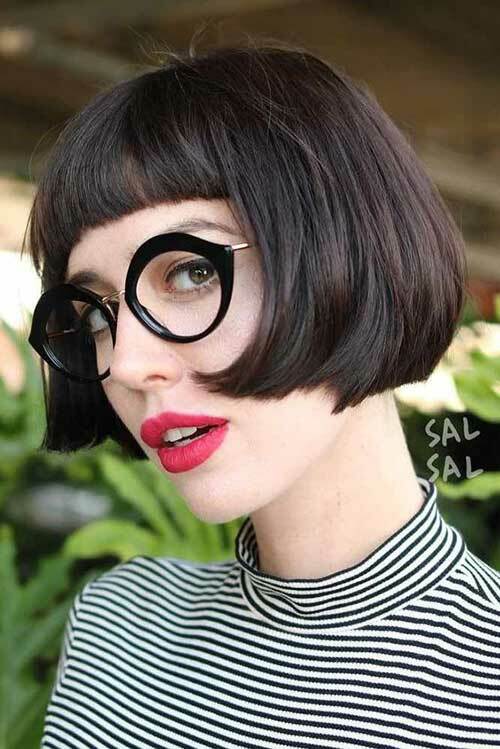 The modern layered pixie-bob haircut you see here is a great option, especially for business ladies. 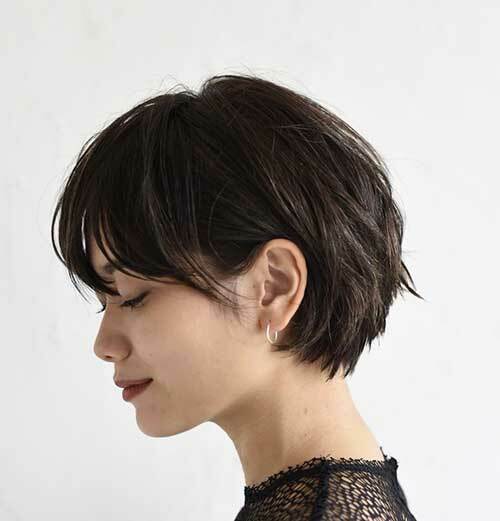 Asian women are also using these hair styles quite often. Probably because they love their dark hair, and the layered hair cut the best idea for their cute round face. 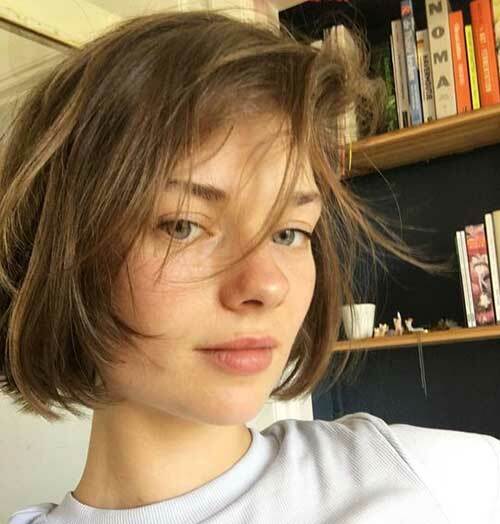 This excellent short layered hairstyle especially brilliant idea for young ladies, a wonderful example for all women who get tired of ordinary hairstyles. Also, if you have straight hair, you’ll get a more voluminous style with a cut like this one. 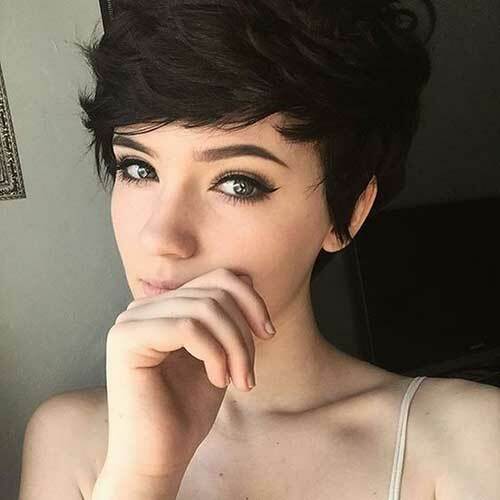 Pixie haircuts totally famous these days, but you need to find perfect cut for yourself, if you can’t find the best one, you may regret it because you have cut your hair too short. You have hick dark brown hair? 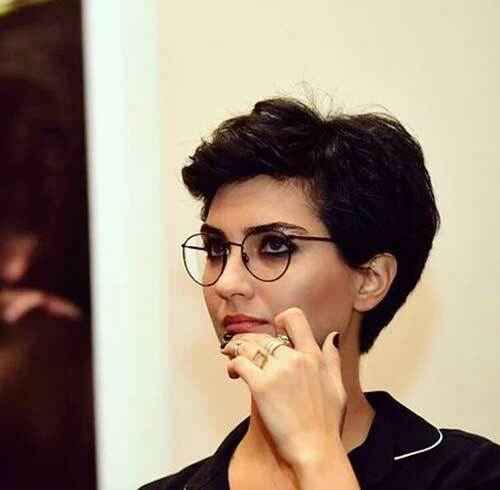 And thin face shape? 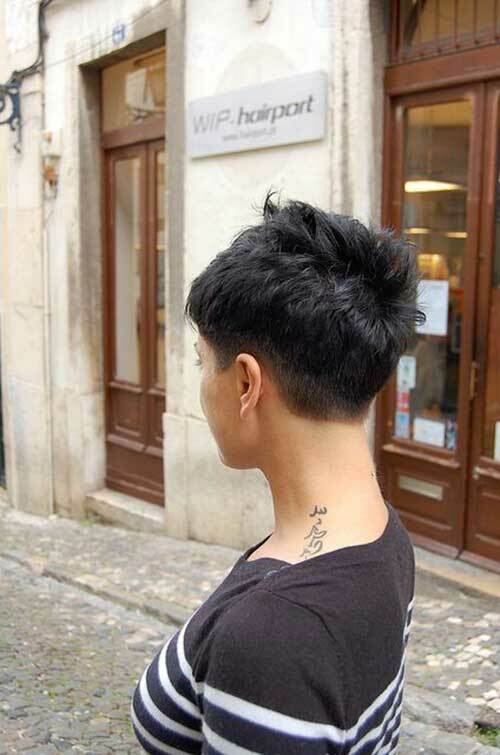 This side parted layered pixie will be great for you. 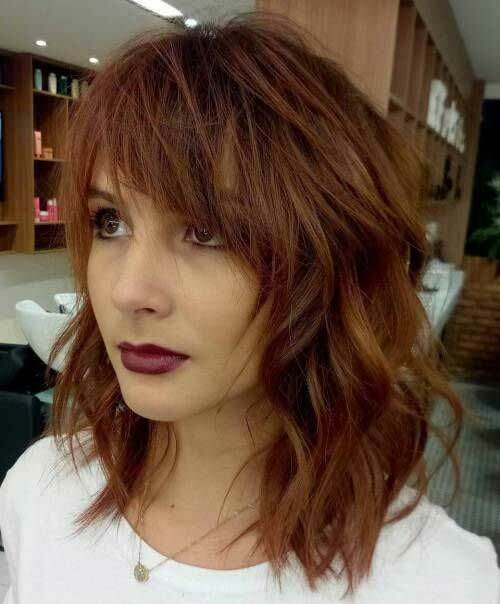 Long shaggy layered bob cut with bangs, looks a little messy wavy and you can use easily this hairstyle. Maybe you need to apply hair straightener to your bangs, but you can leave the rest as it is. 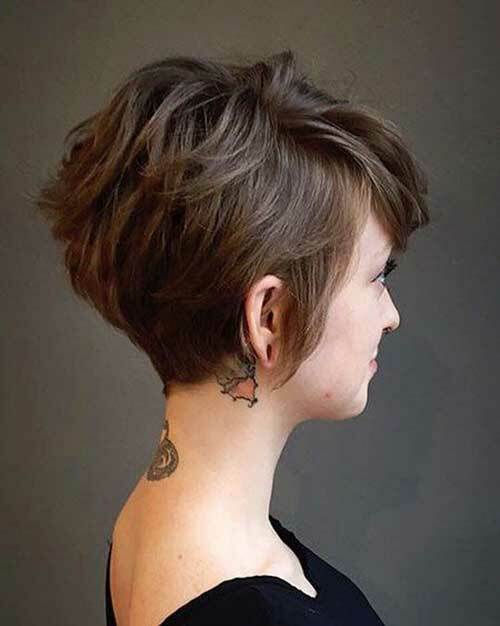 Pretty cool and stylish asymmetrical short haircut for natural light brown hair. You can find yourself in a pretty cool look. With the layers you add to your hair, your thin hair will look thicker. Rounded face ladies can easily prefer these hair styles.